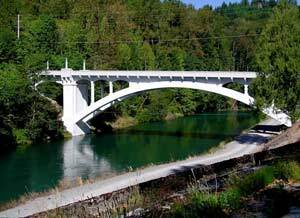 Enjoy the scenery, special events and recreational opportunities of Eastern Skagit County. 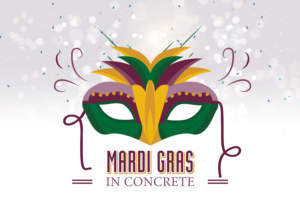 Mardi Gras in Concrete — the annual event where we gather for fun, food, music, dancing in the street, mingling with old and new friends, contests, prizes, beads, royalty and more. Begins at 3:00 p.m. and all entrants are welcome! Entry forms available here. 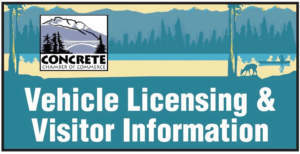 Please complete and return to the Chamber office or via email: Chamber@Concrete-WA.com.Parade check-in and line-up will start at 2:15 near the Concrete Post Office, on west Main Street. 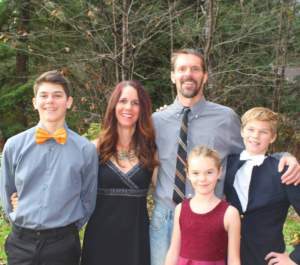 We’re happy to introduce the 2019 ROYAL FAMILY: Steve & Corina Sahlin, with children Kai, Eva and Lukas. This family has participated in many of our Mardi Gras events in the past, bringing an amazing amount of energy and enthusiasm each year. • Enjoy REAL Cajun food!! Authentic Lousiana-Style jambalaya, deep-fried turkey legs and beignets available for purchase at the Lone Star Restaurant and Waterin’ Hole in Town Center. • Live music in Town Center by Jumbled Pie. • Historic Concrete Theatre in Town Center will be open for purchase of popcorn, coffee and treats. We hope you’re planning to visit our area soon! You’ll find beauty in surprising places, including in our landmarks and historic relics. All you have to do is look around! Take a Walking Tour of our town. Do you live here? Wish you did? Are you a resident of Concrete, or looking to relocate? You’ll find many resources here, including business listings, local events, and a host of activities – and Frequently Asked Questions. You’re also welcome to contact us anytime via email, phone or in person. See our office location and hours. The Concrete Chamber meets monthly and welcomes the participation of all members and potential members. 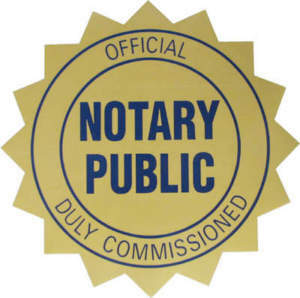 The meetings for April 2019 will be held the second Thursday of the month, starting at 11:30 a.m. at Annie’s Pizza Station. Further meeting locations to be determined. To make sure you’re informed in advance of each month’s meeting, please contact the Chamber and ask to be notified.